Val Thorens is not the prettiest of The Three Valley Ski Resorts, but at 2,300m, it is the highest in Europe and usually the most snow-sure, with some of the most challenging runs and the best off-piste opportunities. The resort of Val Thorens and been created around a compact central 'village' offering doorstep skiing practically wherever you stay. 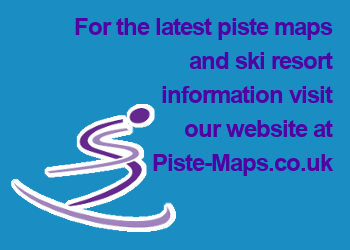 The green pistes into Val Thorens allow beginners to progress, while above the resort the predominantly blue and red pistes are ideal for intermediates. From Geneva Altibus run 8 buses per day on Saturday and 3 or 4 on other days. The journey takes around 3 ¼ hours and costs €64 one way. From Chambéry Altibus run one bus per day. The journey takes 2 ¼ hours and costs €50 one way. Local bus or taxi from Moutier train station - 37km. 1,800 to 3,200m (5,850 - 10,500ft). 1 cable car, 3 gondolas, 15 chair lifts, 5 draglifts, 2 moving carpets. Access to over 160 more in the 3 Vallies. 8 , 25 , 28 , 6 . There are no trees, which can make skiing in bad weather difficult. Easter Means Osterfladen Tart Recipe Time. No Pain, No Gain, but Wall Sits can help Avoid Injury and Suffering. Copyright 2018 The Best Ski Resorts	| Theme: Education Master by ThemeEgg.